Fibromyalgia Syndrome is a complex and painful condition that affects over 12 million Americans. Women are at a much higher risk than men for developing this sometimes, crippling disease. Many disease sufferers are looking for new ways to Reduce the Pain of Fibromyalgia without the risks associated with prescription painkillers. Chiropractic Care offers an Alternative to Medicine that can treat many of fibromyalgia’s symptoms. Caron Chiropractic Clinic, P.A. provides patients with safe and natural treatments for Non Invasive Fibromyalgia Management at our St Paul MN chiropractic clinic. We have all heard or read about recent studies that highlight the dangers of living a sedentary lifestyle. Individuals are encouraged to Stand Up For Health and become more physically active. The human spine provides a sturdy foundation when we practice Good Posture and have Proper Alignment. Misaligned Vertebrae in the neck or spine often results in Pain and Decreased Mobility that can hold you back from enjoying physical activities. 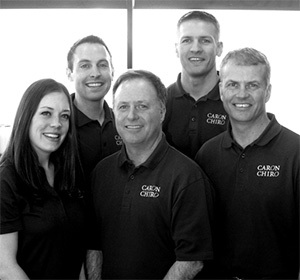 A Skilled Chiropractor at Caron Chiropractic Clinic, P.A. can help to get your spine in good working order so that you can lead a Healthier and More Active Lifestyle. Many people who suffer from pain can tell you that their pain affects the quality of their lives when they’re awake, and can be responsible for disrupting their sleep at night. While acupuncture is probably best known as an effective treatment of pain, there are a number of other conditions unrelated to pain that are successfully treated with acupuncture. Perhaps this is why acupuncture was used 4000 years ago and is still being used with success today. In the United States, acupuncture has only recently been gaining steady popularity and widespread acceptance as recent research finds it to be a safe and effective treatment for a number of common ailments.